SUGAR…It’s Everywhere. Lately I’ve been focusing my attention more and more on nutrition. Being a health and fitness guy I already had a keen interest in the importance of developing a healthy Personal Eating Plan. In fact I’ve designed, implemented and updated comprehensive P.E.P.’s for countless athletes and clients in the past. Only recently however have I truly started to research sugar and it’s impact on total health and wellness. Rather than rewrite ton’s of information that already exists, I am going to highlight some resources for you so that you may do some digging, and come to your own conclusions. 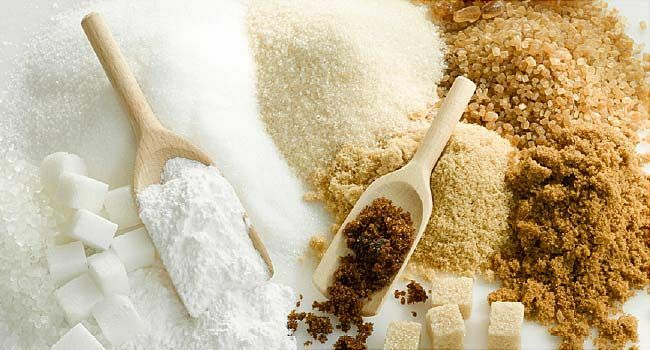 The scientific team at SugarScience.org recommends keeping all added sugars below the recommended limits of 6 teaspoons/day (25g) for women, and 9 teaspoons (38g) for men. The W.H.O. sets recommendations for total daily sugar intake for both men and women. The numbers may surprise you. In general the recommendation is no more than 5-7% of daily caloric intake. Start tracking your daily intake and see how close (or how far off) you are to these recommendations. Do yourself a favor and cut down on your sugar intake.